I am the most fortunate of women: I am extravagantly loved, greeted daily with passionate kisses, have a fairly decorative roof over my head, and, post-election, still have family and friends who speak to me. Not everyone is so fortunate! Heading back to work after lunch yesterday, I was stopped by a colleague who told me that her brother called her to say that he would no longer speak to her. His last call to her was to inform her that he didn’t want to hear from her again – she had the nerve to vote for the wrong candidate – and that if there was an emergency, she should call his wife and give her a message. She laughed as she told me how juvenile he was being. She related how she had informed his wife that they were perfectly capable of handling any emergency without calling her. Ain’t families fun! The great gathering place, that was my parents’ home, is ours no more. Back in the day, when my brothers’ and my family were gathered with my parents, there were eighteen of us. Now my brothers and I are the oldest generation in the family and there is no longer a unifying home. With my husband’s family, we are scattered across this country and beyond: Arizona, California, Georgia, Hawaii, Indiana, Maryland, Ohio, Pennsylvania, Texas, Washington, and Germany. My three amazing and talented older brothers are entirely different from each other. They have different interests, different religious, political and social views, and certainly different tastes in music, and humor. Despite time, distance and history, they remain the best brothers in all the world. I have only to pick up the phone and they will always be there for me, as I will be for them. We have been through the wars with each other – but they remain, rock solid, family. Life is uncertain, tomorrow is never guaranteed, and so my husband and I are taking no chances. We are alive and we are celebrating! Our Thanksgiving this year will be with his sister & brother-in-law, and six friends, by last count. Our part of the table fare is in the works. Ingredients are waiting to be turned into a scrumptious main course addition, and the dessert addition, the rum balls, have been made and lovingly taste tested. Around the busy edges, we have other things on our plate, the top three being: a commissioned painting of Aspen trees (looking good! ); a heavy-duty shelf waiting to be assembled, so that we may corral more boxes in the garage, with the goal of finally moving the newly acquired second vehicle inside; and the yet evolving building blocks being put into place to allow a fairly smooth transition to different employment for one of us in the new year. Enough of projects! Young people remain naive, thinking they have a corner on love. Love never ends. We talk, laugh and imagine how much stir it would cause to be given the gift that made Sarah laugh – a baby in old age. It seems to be hard-wired in us, desiring a baby with the person you love beyond reason. Talk about a reason for Thanksgiving! We are either mentally ill or just hopelessly in love. We choose to think that it is delicious to be in love. In the bigger picture, despite bumps and bruises, sorrows and grief over things beyond our control, we choose thankfulness, love, happiness, and a deep abiding faith that we are in good hands and that blessings beyond measure will be ours. 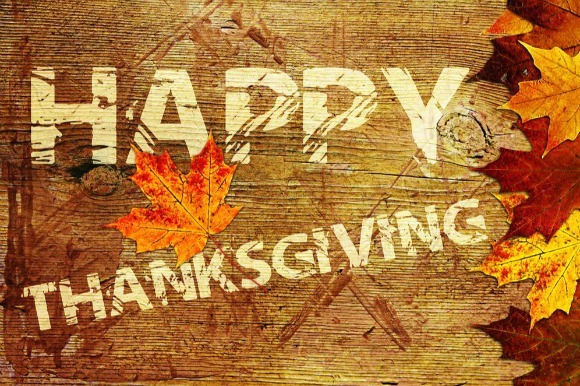 May you, too, be richly blessed and have a very happy and thankful Thanksgiving! This entry was posted in Family, Friendship, Life in these times, Marriage, Politics, Pregnancy and tagged Aging, Argument, Blessings, Children, Faith, Grief, Love, Marriage, Memories, Pregnancy, Thanksgiving. Bookmark the permalink.